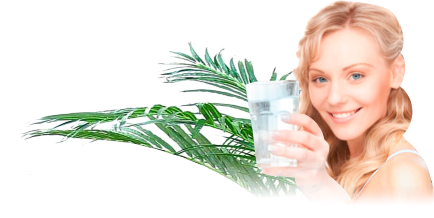 Pacific Springs » Water News » Drinking Water » Is Spring Water Really Good for Your Skin? Many may not realise but just as we inhale pollution and fumes that travel through the air, our skin also breathes and absorbs a large amount of toxins such as xenoestrogens each day. If toxins such as these are absorbed through the skin and not properly flushed out by a constant flow of water through the body, they are likely to build up and try and release themselves through the pores. This can result in skin abnormalities such as acne. In order to restore hydration and nutrients to the skin, it is recommended to drink a substantial amount of water on a daily basis, but it is also recommended to be wary of which source you are getting your water from. Tap water is not always the safest option as the composition is relatively uneven with extra unwanted minerals and fluoride; it is better to opt for a fresh supply of bottled spring water or filtered water. Skin inflammation is brought on by a number of factors such as the environment, physical and psychological stress and of course what you eat and drink. If your skin is dehydrated and malnourished, it is likely to either dry out or become inflamed, which can cause premature ageing. Combat this by following a healthy diet and drinking plenty of spring water to flush out your system and hydrate your skin. For more information on bottled spring water delivery in Brisbane or for water filtration systems, contact Pacific Springs Natural Spring Water on 1800 292 83707 3349 1533. This entry was posted in Drinking Water and tagged spring water, water benefits, water health by Teala. Bookmark the permalink.